As we enter our 5th year (whoa!!) my focus as DPMR President is on longevity and succession planning for our club and programs. 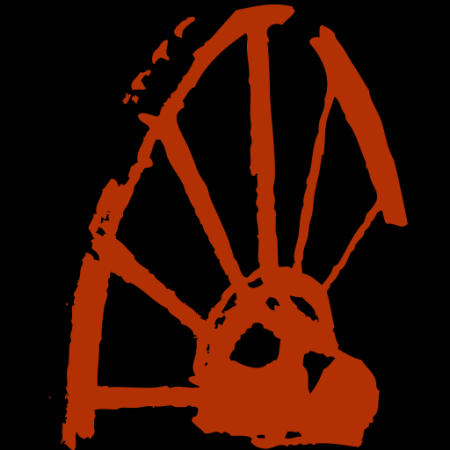 Our founding board members are progressively handing off the reigns, and this is a great time to capture new energy, but requires planning and training as well! 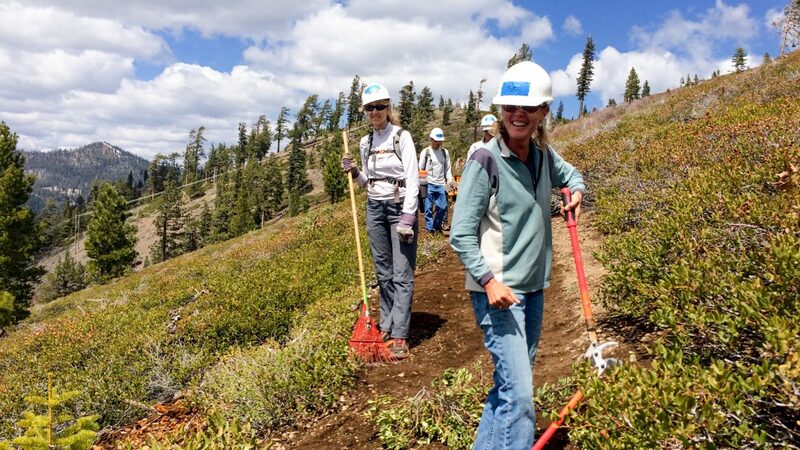 Betsy in 2015, leading a trail work crew on the Donner Lake Rim Trail. 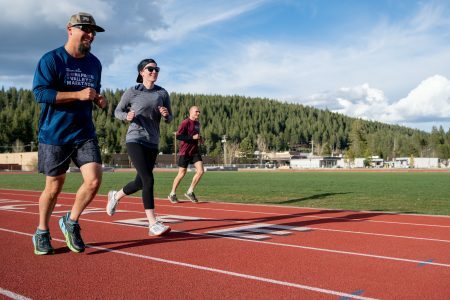 First, a huge thank you to our outgoing board members: Gretchen Brugman, Hillary MacLean (Sierra Symmetry,) Betsy Nye, and Chaz Sheya (Epic Endurance Events.) Their dedication in providing direction and relentless forward momentum brings us happily to our 5th Anniversary. And rest assured they aren’t leaving our DPMR family. 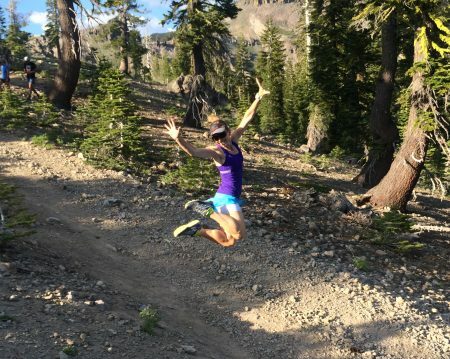 Betsy will continue to manage our Trail Stewardship opportunities and Gretchen will get you all out and running early this Spring with her 6-week evening series. You can visit Hillary at her pilates and running studio and no doubt you will see Chaz at an Epic event this year. 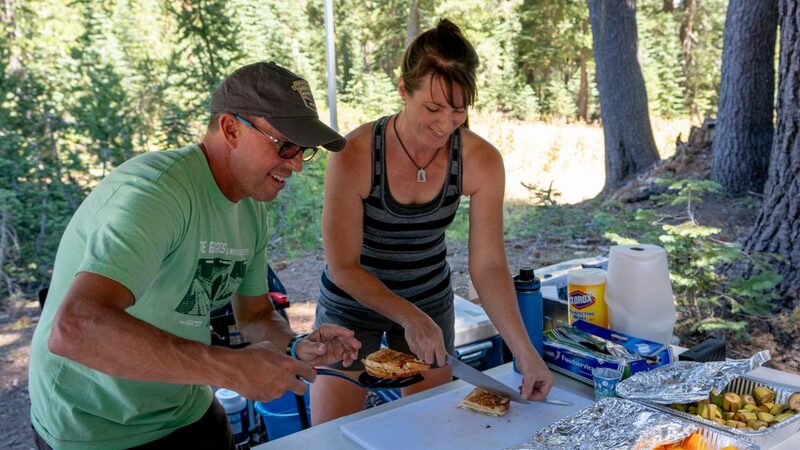 Chaz and Abbey serving up a storm at a 2018 Castle Peak 100k aid station. Next, we welcome and offer even more thanks to our incoming board members: Diane Frederic (I Spy Fred,) Renee Jacobs, and Carol Lindsay. They are not new faces, but come to the board from our programs, where they have already contributed so much. Diane comes from the Castle Peak 100k team, where she is best known as the Swag Queen (of the Castle?) but does a million different things on race weekend as well. She has generously agreed to take on the Membership Coordinator position on the board. 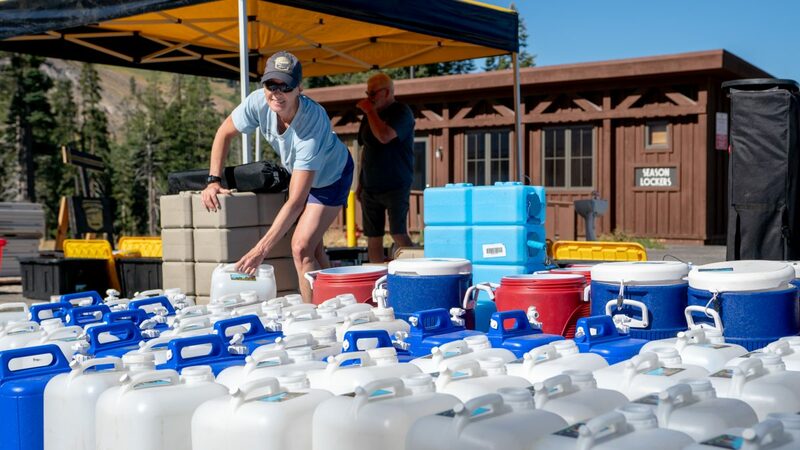 Diane (sporting a hat she designed,) filling water jugs before the 2018 Castle Peak 100k. Renee jumped in with both feet last year to create a Wednesday group run series because one needed to be created! 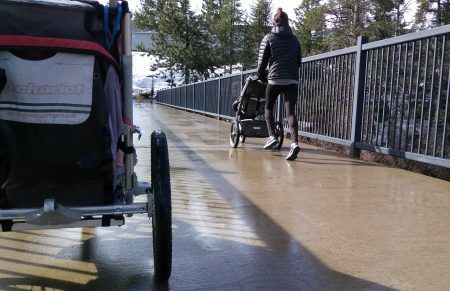 Her initiative alone endeared us, and she will now be stepping up as Group Run Coordinator. Carol also comes from the Castle Peak 100k team, where she has donated countless hours as the Medical Coordinator. She comes to the board in that same capacity, and we are feeling lucky that she has recently retired from her day job as a Nurse Practitioner, so we get her on the board! As we continue to “grow up” as a club, I hope you will considering bringing your energy to the community in 2019!